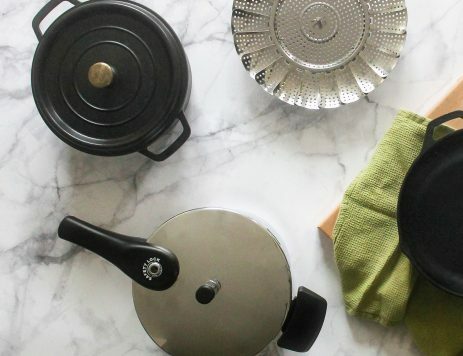 7 Unique Kitchen Gadgets - What's for Dinner? Can’t figure out how to pit a cherry? There’s a tool for that. Not sure how to slice an avocado? There’s a gadget for that too. 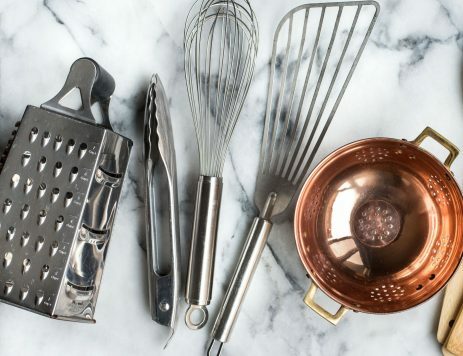 Though they might seem like odd kitchen utensils, the seven tools below are absolutely worth adding to your collection. 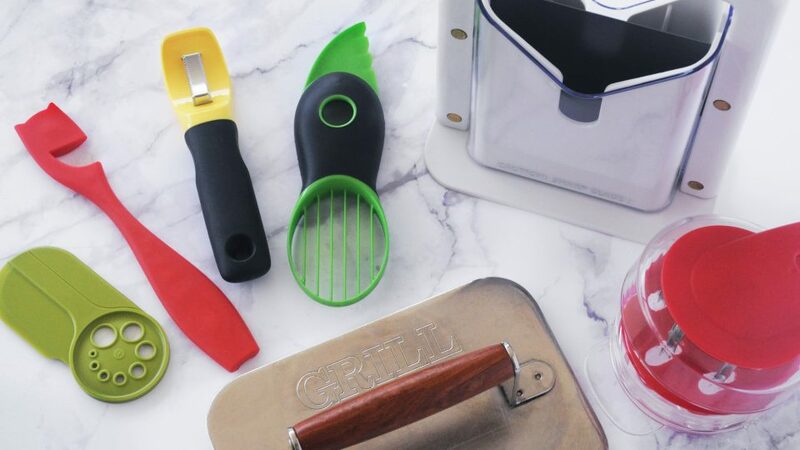 Similar to other kitchen essentials, these unusual kitchen gadgets will make life easier and save you time when you cook. Slicing a bagel can be messy and tricky, leaving you with an uneven bagel and the “everything” seasoning all over the counter. That’s why the pros often use this handy tool instead of a knife. You get an even cut every time and won’t risk getting hurt in the process. An upright frame holds the bagel in place, while a hand-held blade slides through it from the top. Just push down and your bagel is sliced! Oven burns are some of the most common kitchen complaints. Keep yourself free from burns with this simple and easy tool. With a curved hook at the end, this heatproof gadget perfectly grips oven racks so you can easily slide them out. Simply hook and pull to retrieve food in the oven. A groove on the end also helps you push stubborn racks back in. Some of them even come in artistic shapes and double as a kitchen decoration. This unique kitchen tool is the easiest and safest way to remove corn kernels from the cob. If you can zip up a sweatshirt, you can use a corn zipper. This tool uses the same motion you would to shuck corn. One swipe and rows of kernels will cascade off the cob. It’s perfect for spring and summer salads, salsas and any recipe where you need fresh corn kernels. Bonus: kids love using it too! Grab this handy helper to scoop and slice at the same time. The racquet-shaped slicer will turn out perfectly cut pieces of avocado every time. No more harrying attempts with your kitchen knife, or smooshed and uneven pieces. Some even come with a blade to open the avocado and a tool to remove the pit. Remove fresh herbs neatly from the stem with one easy motion. Different-sized holes allow for different-sized stems (some even large enough to strip kale leaves for an easy veggie prep). 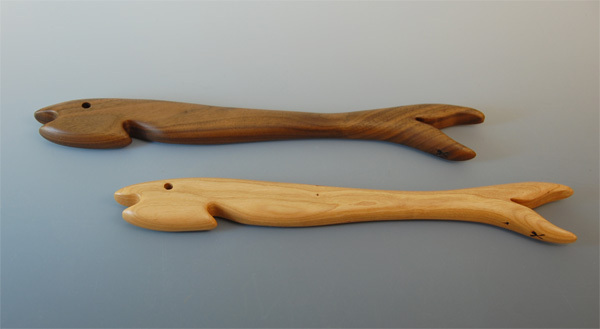 Storage is a snap, since these tools are about the size of a letter opener. Simply put the fresh herbs in one side and pull the stem through the other. Voila! Separate leaves and stems in seconds. A handy weighted press is just what you need for bacon, paninis and more. These are ideal for indoor grilling when you want sear marks from a pan. The extra weight helps keep the food pressed to the pan and also keeps your bacon from curling up. Next time you’re prepping cherries for pie or other desserts, make sure to have this tool on hand. All you have to do is place the cherry in the gadget, push down once and the pit separates from the cherry. Most cherry pitters collect the pits in a jar below for easy clean-up. This time-saving tool is also child-friendly and another fun thing to do in the kitchen with the kids.